My early childhood revolved around my mother Filomena and my father George whom I both loved. 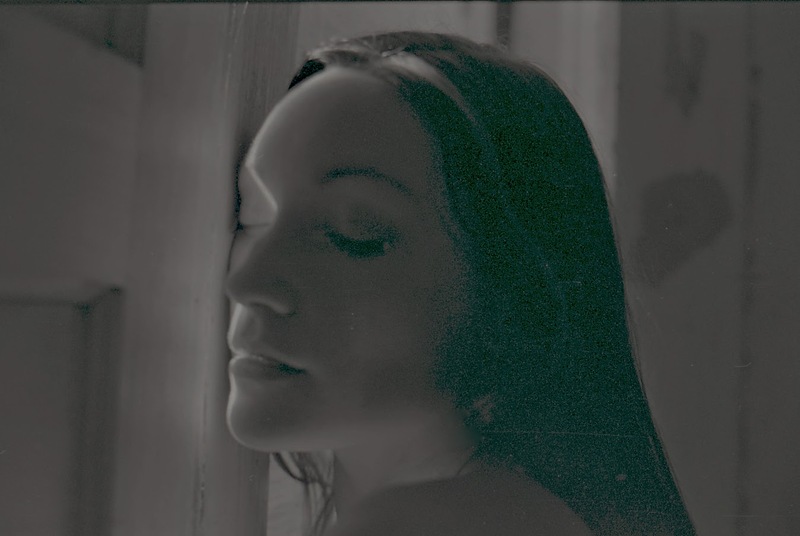 My mother was feminine but not considered the beauty of the family. 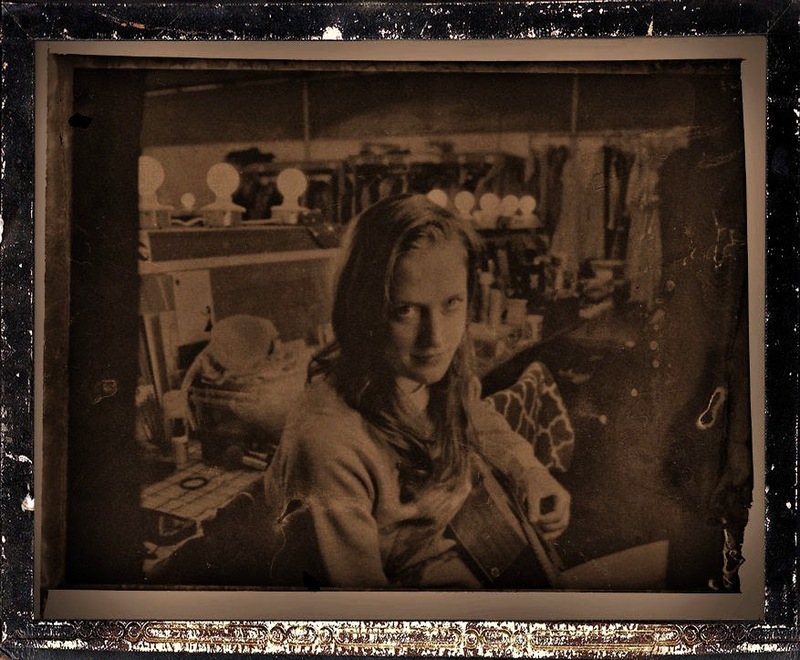 Her younger sister Dolores (Dolly) was the one. My father was a thin man who resembled David Niven and had the same voice timbre and a similar English accent. My father spoke English like his father who had been born in Manchester. But it is most obvious that men get up, shave and that’s it. I have no memory of my father shaving or trimming his moustache. I remember his tweeds, and the smell of Player’s cigarettes and the whiskey which he liked so much. I remember days of being in bed and singing along with him. But there is more of my mother in my memory. Somehow, perhaps because my room was in the living room I saw more of what my mother did to get read for work. One year, I may have been 8 or 9 I was sent to the camp (the country) during the hot month of January. When I came back my father had fixed up a room that had only access by an outside stairs. It was next to the room where our housekeeper Mercedes lived with her sister Enilse (who worked at Nearby Nestlé and often brought chocolates home). My father had snipped pictures from the child’s magazine Billiken and stuck them together in a long row around the three walls of my room. This was my first room. I still remember being on or in bed and watching my mother in front of a mirror attempting to wrap her very long and straight her around a fake bun which she then attached behind her head. This hairdo was much in vogue as Evita wore it too. I remember that there were days when she grew frustrated doing this telling me, “Mi pelo es tan lacio,” “My hair is so straight.” And she would in a fury pull her hair from the bun to start again. To check her results she would turn her head in front of the mirror and then she would lift her antique (antique even then) Sterling silver hand mirror. Today I went to the garden and had and idea. 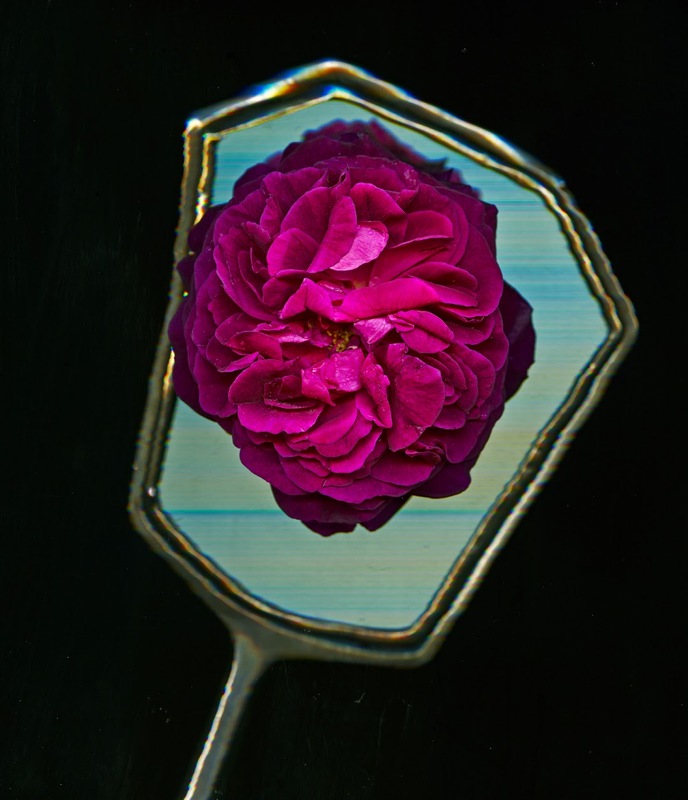 I was going to scan Rosa ‘Munstead Wood’ (an English Rose named after Gertrude Jekyll’s garden in Surrey, England) and hold her mirror behind it. I could not hold the mirror perfectly still. If I let it lean on the rose it would have squashed the petals. I like the result. It was only then that the picture reminded me of my mother looking at her hair bun with the mirror. I must confess here (and I have done it before on this subject) that in the late 70s I was a frequent habitué of Wreck Beach. Many times not far from where I was I could hear a loudish young man pontificate on art. Unless it was very hot he complemented his birthday suit with a big heavy and black leather jacket that seemed to be a size too big. From what I could gather (wind in Wreck Beach can carry, almost enhance conversations), the young man was an artist who taught at Emily Carr. The young man had a European accent and a deep radio voice. Years later I sort of got to know the man. He is Martin Guderna. 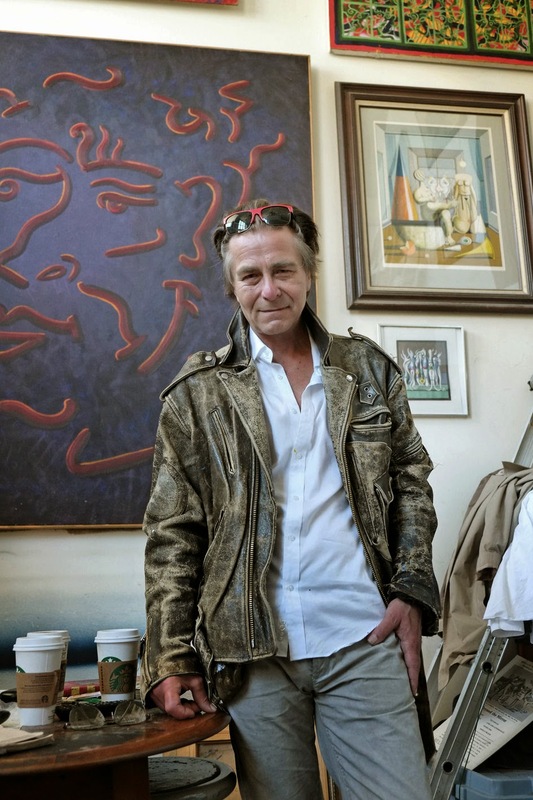 Sometime in the late 1990s his famous father, the Czech-born surrealist Ladislav Guderna had a show at my friend Samuel Frid’s gallery the Threshold on 6th and Granville. Proving that surrealism happens more often than not, when Frid closed his gallery the space became a high-end gas barbecue equipment salesroom. I must assert here that in repeated sightings of Martin Guderna, in all weather, I always have seen him with that leather jacket. I will not dare ever ask him if he has ever had it dry cleaned. Bohemians (and Martin is a true-born Bohemian) are Bohemians, you know? In fact about a year ago in the covered parking lot on Granville Island I ran into him (this is strange as Guderna says he has never owned a car). We chatted as I stared at his jacket. Guderna in just a few words said, “New York is dead. Paris is dead. Shanghai is now what those two cities were.” At a later date (today, and more on that further below) Guderna told me that Parisians are still stuck on cubism and New Yorkers on Warhol. To Guderna this is sheer nonsense as he admires Matisse, especially if Matisse’s paintings are accompanied by the music of that great atheist of the 17th century (if you run into Guderna on the street, ask him to explain that fact) Johan Sebastian Bach. 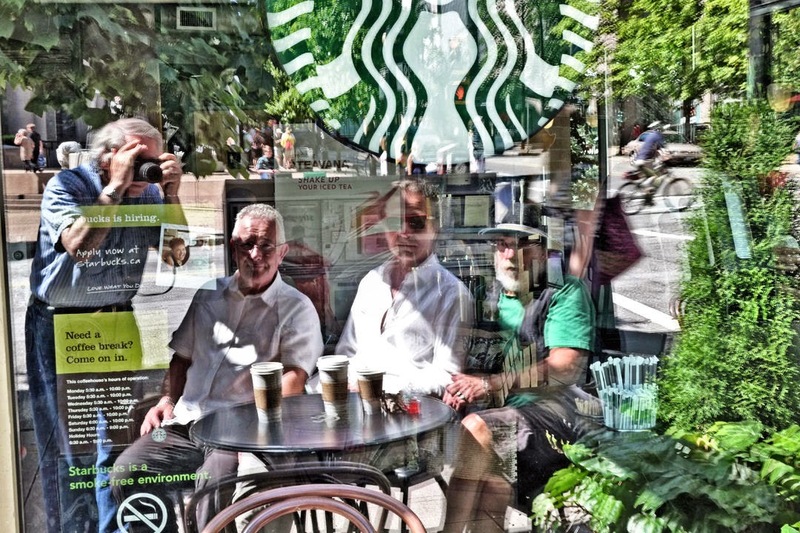 Today sitting outside on Homer and Robson (Starbucks) having coffee with graphic designers and also artists Ian MacLeod and Ian Bateson I spotted a man in a brilliant white shirt ($400 at Boboli’s) wearing nice sunglasses (red-rimmed on the top). I knew that in spite of not wearing the leather jacket (at age 60 perhaps this artist has become more practical) it had to be Martin Guderna. It was. We then had a couple of hours of wonderful entertainment with all kinds of comments on the sorry state of our galleries including the big one on West Georgia Street. But there was no pessimism here. There was enthusiasm, with clear eyes with not an ounce of anything that might cloud his vision. We were then invited to explore his tiny studio apartment. Unfortunately the Sechelt living MacLeod had pressing things to do so only Bateson and I went. It was a terrific and entertaining little visit in which I spotted the cone painting and asked Guderna to pose with his leather jacket. He did this after putting on his “new look” a jacket from Boboli. 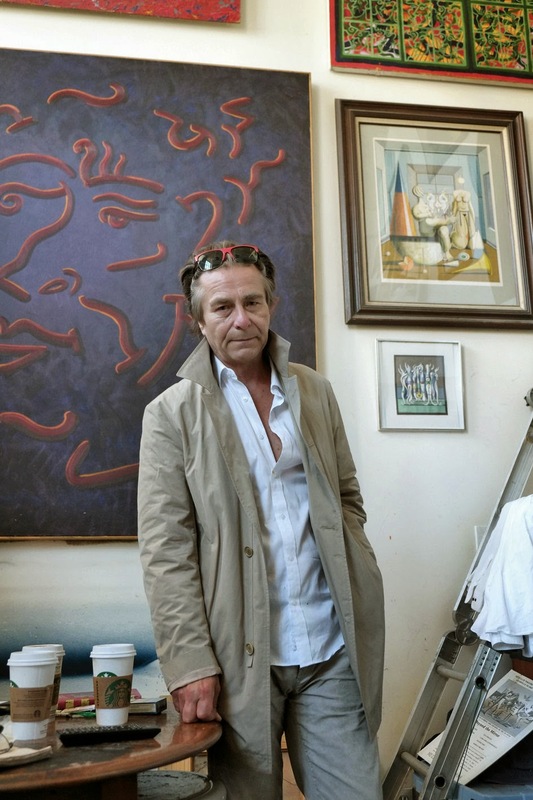 Guderna showed us a few of his latest works and all I can report is that there is surrealism and humour in his work but he is a true artist who while adoring and admiring the memory of his father, he has become his own man. Bateson and I finished our afternoon at a Yaletown Pub watching Brazil being drubbed by Germany. The whole day was ample proof that the world is good because surrealism is alive and well and grinning lots. These four roses are red. But red roses come in many shades. Some are only red at their peak. 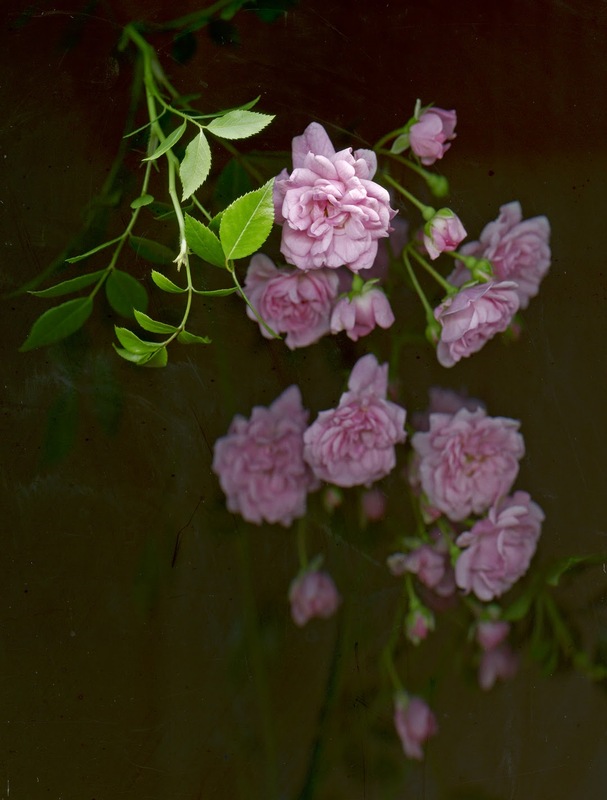 Gallicas, in particular and many of the English Roses (there are two here, Munstead Wood & L.D. Braithwaite) turn to wonderful shades of purple and sometimes to an almost metallic gray. When we first came to our present home in 1986 there was a very large spread of the only commonly red climbing rose at the time. This was Rosa 'Blaze' Through the years she has waned and sometimes all but disappeared. This year she is back and even though I don't find her particularly attractive or fragrant she is faithful to her colour until the bitter end when purple, just a small shade of it sets in. 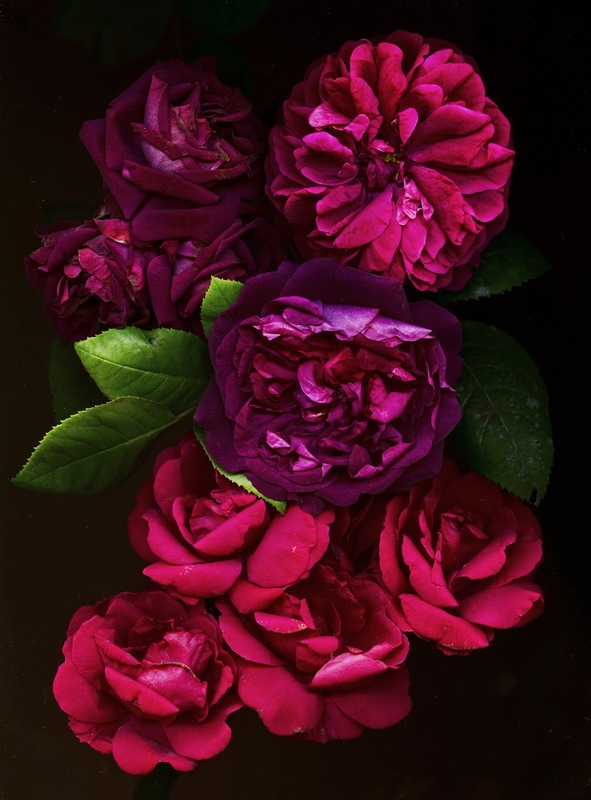 Rosa 'Souvenir du Doctor Jamaine' is a hybrid perpetual. These were roses that bloomed once and then came back in the fall. They were popular from 1837 for 60 years. Doctor Jamaine is very dark red and as he ages he goes almost black. The fragrance is sweet and very strong. Most of the roses in my garden have scent. This particular one does not. It is a polyantha rose bred by J.A. Bentall in 1932. I would add that most of those other roses (not the once blooming ones but the remontant ones) are saving up strength to come back in late July or August. What I have not told Lauren about The Fairy is that it reminds me of her. It is a dainty, feminine rose that does just fine even in the adversity of a shady border. In my youth, it seemed that every American had an Aunt Fenita. No matter where one’s family lived or was from, Aunt Fenita was always from Ohio. As she grew older, she tended to move east to New York State or Connecticut, where she would settle in a white-frame house in a town with a name like Plandome. By definition, Aunt Fenita was of a certain age, as the French say; and a widow or spinster, she lived continually alone. She had enough money to travel, and that was what she did best – and most. Since European travel was still and adventure for Americans before WW II, Aunt Fenita was positively glamorous in her knowledge of steamship lines and railroad schedules, hotels and pensions. She was what was then called a globe-trotter. Had anyone collected her postcards, he would have had a panoramic, even Braudelesque, view of just what it was that our innocents abroad most like to look at; in Aunt Fenita’s case, the Matterhorn loomed rather larger than the Louvre; but then she never saw an alp that she didn’t like. Of course, we were Alpine folk. Aunt Fenita was the self-appointed emissary between the family in America and the family in Europe. Before World War II, we were remarkable in that the European branch was far more distinguished than the American. Things had not gone well for the first two generations in God’s country. But in Europe, titles abounded; and although she always got them wrong, Aunt Fenita was an eager, even obsessed, genealogist. Postcards of castles where relatives lived, or allegedly lived, would arrive, such as Schloss Heidegg in Gilfingen. A neatly-drawn arrow, pointing to a noble casement, marks ‘Your grandmother Caroline’s room. 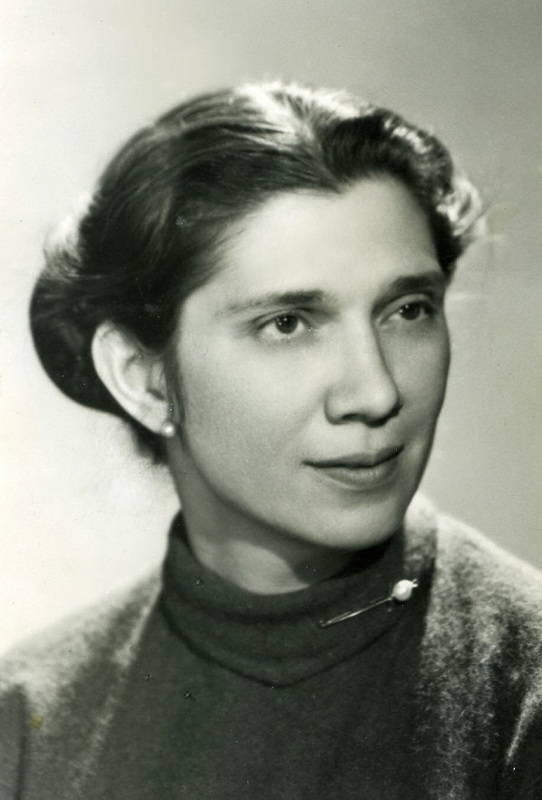 On Aunt Fenita’s death, trunks were found filled with Brownie snapshots of houses, castles, stout ladies, bearded burghers, coats-of-arms, pressed flowers from gardens of relatives in Feldkirch, St. Gallen, Unterwalden, Lucerne, and a list of the doges of Venice – her greatest discovery and the family’s Rosetta Stone – of whom three were called Vidal or Vitale, the magic name triply underlined in Aunt Fenita’s triumphant porphyry-purple ink. There were also postcard views of, variously, the church, the piazza and the Rio S. Vidal. Today Rosemary and I went to one of Vancouver’s cultural gems, VIFF (Vancity Theatre) on 1181 Seymour Street, half a block north of Davie. 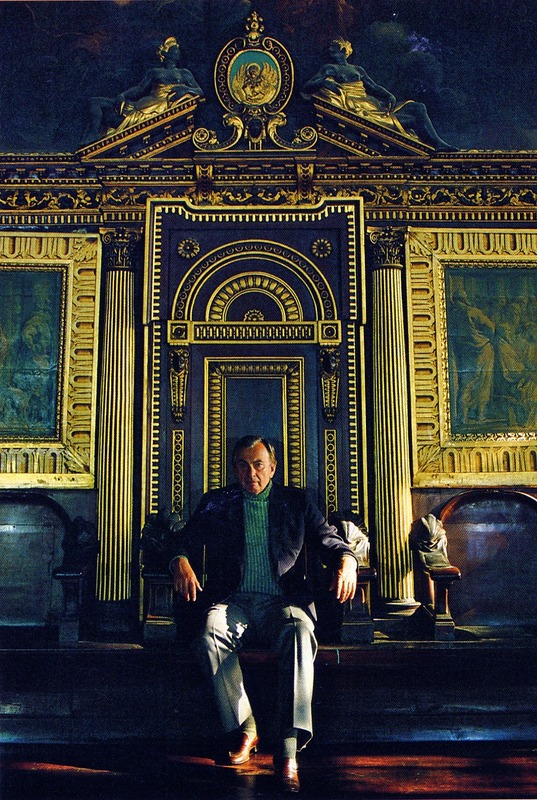 We saw Gore Vidal – United States of Amnesia, a documentary directed by Nicholas Wrathall with: Gore Vidal, Christopher Hitchens, Tim Robbins and Robert Scheer. Since both Rosemary and I lean to the left we enjoyed the show firmly ensconced in the best (very red) and most comfortable theatre seats in our fair city. I have read many of Vidal’s books including Messiah, Empire (and I must admit The Smithsonian Institution – A Novel and Live from Golgotha) and that gem Vidal wrote about Venice with beautiful photographs by Tore Gill. The closest I ever got to Vidal was to photograph the man who called him a queer on TV. That was William F. Buckley. I believe that out of camera range Buckley and Vidal might just have liked each other. Interesting for me is that I have also read quite a few of Buckley’s novels. Both Vidal and Buckley had an unusual command of English with the added dollop of extreme elegance. Rosemary and I who are now in that seventh decade of our life have come to understand that we have each other and little more (and that is plenty). So we watch good films which I get from Limelight Video or the Vancouver Public Library and now we will be frequenting the VIFF more often. Not too long ago I read about the “so called” FBI informer James Bulger in my NY Times and now on July 9 there is Whitey: United States of America Vs James J. Bulger directed by Joe Berlinger. Some of the more obscure little films reviewed by the NY Times show up at VIFF a week or two after. “True history,” said Hearst, with a smile that was, for once, almost charming, “is the final fiction. I thought even you knew that.” Then Hearst was gone, leaving the President alone in the Cabinet room, with its great table, leather armchairs, and the full-length painting of Abraham Lincoln, eyes fixed on some far distance beyond the viewer’s range, a prospect unknown and unknowable to the mere observer, at sea in present time.